Local poultry stocks have seen a decline in prices down by LE8.5 per kilogram. The price at retailers is currently LE25 per kilogram and LE35 per kilogram of frozen poultry. The price of eggs has also witnessed a decrease; a package (30 eggs) is currently priced LE32 at wholesale traders and LE35 at retailers. 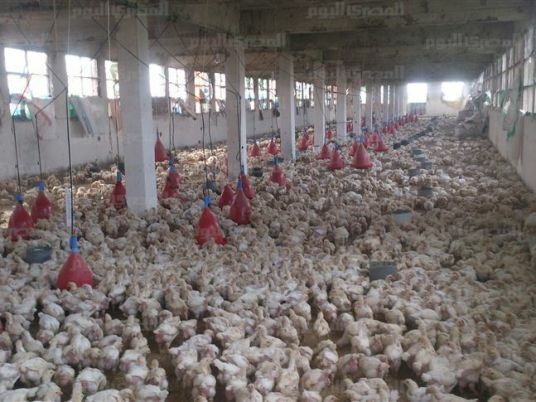 Abdel Aziz al-Sayyed, head of the poultry division, attributed the price decline to low demand after end of the holy month of Ramadan and the current high temperatures, which makes farmers fear their poultry stock’s death. In remarks to Al-Masry Al-Youm, Sayyed claimed the recent increase in fuel and diesel prices will not affect the cost of poultry, adding that we can expect stable prices over the coming period.